New to betting? All betting terms explained with links to articles on the specific topics. Also called combo and parlay. A type of bet that combines multiple events on a single bet slip. The player wins only if all events are successful. Typically for horse racing,where win, place and show are being offered. It is a wager of equal amount for each outcome. A bet that is placed prior to an event (at least a day, but can be months before the final result of an event). This bet is often about the champion of a particular organization. Arbitrage or 'surebet' means betting with a sure profit. The player uses the market imperfections to combine odds of different operators and thus secure a profit, regardless of the final outcome of the event. Read More about Arbitrage or Read More about Surebet Software. An unexpected, often last moment loss of a wager. Banker bet is betting on the favorite to win, i.e. a profit is expected. It is also a term used in system bets, where a selection must win, or the entire coupon loses. 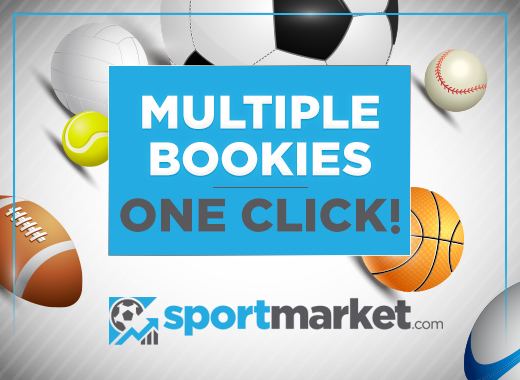 An alternative to bookmaker, where player doesn't buy odds from the bookie, but rather from other players. Some bookmakers determine limits on minimum/maximum (most commonly maximum) amount on each wager. Check our Bookmaker reviews to learn more. Also called Total cards. It is a betting market where a player can predict whether the sum of yellow/red cards is greater/less than the set limit. Also known as Super Yankee. A system of 26 bets on 5 selections: 10 doubles, 10 trebles, 5 four-folds and 1 five-fold accumulator. A player must win in 2+ of his selections in order to get a return. A term in hockey, which is a combination of moneyline and pointspread. Also known as a Favorite. The team/athlete/horse that is more likely to win. One that usually bets on the favored teams. A betting market that allows player to select the number of goals a team will accept during a match. A betting market, in which the final result the match is bet on. To cover the spread means to win or to beat the pointspread by the required number of points. Usually used for horses, when two or more competitors finish in a tie. Full odds are paid out for half stake (or a third if 3 competitors finish together). A player that mostly bets on the underdog. The team that is considered unlikely to win, therefore with higher odds. A bet where the player predicts 2 of the 3 possible outcomes (1,X,2). For instance in a game Read Madrid – Las Palmas, a player can bet on 1X if he is certain that Las Palmas cannot win. A combo with 2 selections. Both must be successful in order to get a return. Usually for horses, but also in football. The bet consists of 2 equal wagers – betting on a 'Win' and betting on a 'Place' (top 2,3,4 depending on the particular offering). A term used in sports betting to denote a person's advantage. A betting market where one of the teams is given a goal advantage/disadvantage. Unlike Asian handicap, there are 3 possible outcomes. A wager that returns a profit equal to the stake. Odds of 2.00. The maximum amount of money a bookmaker can lose in a particular game. Also known as Chalk. The team expected to win. A type of bet, predicting the exact timing of the first goal, regardless of which team scores it. A type of bet where the player predicts which team will score the first goal. The final result is irrelevant. A bet placed only for the result of the first half of a game. Odds that are pre-determined, meaning that the expected profit can be calculated at the time of placing the bet. A particular way of displaying odds that is used in the UK. Read more. A system of 247 bets on 8 selections: 28 doubles, 56 trebles, 70 4-folds, 56 5-folds, 28 6-folds, 8 7-folds and 1 8-fold. A method used by bookmakers to make a one-sided event become more attractive for betting, where point advantage (e.g. goals) is given to a team. The total amount of money that is staked on an event (group of events). Placing bets on opposite outcome in order to minimize losses. A system of 56 bets over 6 selections: 6 five-folds, 15 four-folds, 20 trebles and 15 doubles. 2 or more selections need to be successful in order to get a return. Describes the number of contestants on which money will be paid out to bettors (1st, 2nd, 3rd or sometimes also 4th place). Usually for horses. Betting on something not to happen, for instance on a team not to win a game. Usually used in betting exchanges. Betting during the game with odds varying and changing, as the game progresses. Multiple bets on resp. 4, 5 and 6 selections (15, 31 and 63 bets), where the player gets return even if only 1 of the selections is successful. Betting system with doubling stake every time a bet is lost. Read more. A feature that enables bettors to place bets via their phones/tablets. A way of displaying odds, used by Americans. Shows amount that needs to bet, in order to win $100 or the amount that can be won by betting $100. A type of wager where the player predicts whether the number of corners will exceed the limit set by the bookmaker. Conditions, in which the bookmaker cannot offer odds for a particular event. A participant who has registered to run in a race, but eventually does not do so. Often for horses. The result of a game. A betting market where the predicted total number of goals in a match is more or less than the limit set by the bookmaker (e.g. Over 2.5 goals, meaning 3 or more goals are scored, regardless of which team did the actual scoring). An event, where the player believes that the chances are higher than the given odds. Often used in horse racing. Race gambling where all bets are pooled and winners are paid out according to the size of pool and number of total winners. Also known as accumulator or combo bet. A bet including multiple selections, in which all must win for the player to get return. A system of 7 bets over 3 selections: 1 treble, 3 doubles and 3 singles. 1+ selections must be successful for a player to get return. A game with no favorite/underdog. Predictions to bet on, chosen by experts. Also known as tips. Point advantage given to a particular team, to make betting more attractive. Also known as Line or Handicap. Also called Bettor. A person who places bets. When an event ends with no winner. The return of stake due to event cancellation or draw. A system of 3 bets over 3 selections. A bet, in which the punter predicts final score and either the first or the last scorer. The bookmaker's reduction of the odds, to reduce exposure. Happens as a result of heavy betting. Also known as action line or moneyline. A bet, in which the result of an event is predicted. The amount placed as a bet. Also known as a Canadian. A system of 26 bets with 5 selections. Also called picks. Expert predictions to bet on. An expert who gives tips and advices on betting. A bet, in which the player predicts whether the total number of points will exceed the limit set by the bookie. Often used in basketball. A bet in which a player sets the total number of points in a game not to exceed a certain limit set by the bookmaker (e.g. under 2.5 sets means that if the total sets are 3 or more, the bet loses). Also called Dog. The team that is not likely to win. Wagering when the player believes that the odds, set by the bookmaker are much higher than they should be. Read more.